During his weekly schmooze on Tuesday night for hundreds of talmidim in Yeshivas Maor HaTalmud in Rehovot, the mashgiach, HaGaon HaRav Shlomo Chaim Ginuar, veered from his regular words to share the yeshiva’s difficult plight with his talmidim, explaining to them the rosh yeshiva, HaGaon HaRav Avraham Yitzchak Kook, who is 79, left for the Diaspora to raise funds in the hope of saving the yeshiva. He called on the talmidim to be mispallel for the success and well-being of the rosh yeshiva in their tefilos, Rav Avraham Yitzchak ben Rochel. 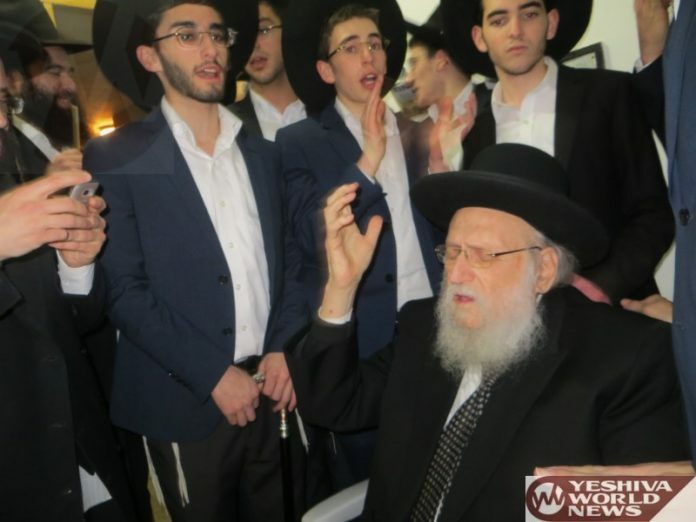 Kikar Shabbos News adds that the president of the yeshiva, Rehovot Chief Rabbi HaGaon HaRav Simcha HaKohen Kook, who is 89, has been weak of late, and has stopped his trips abroad as well as fundraising, and this has compelled the rosh yeshiva to take over these responsibilities. Next articleHigh Court: Why Isn’t There A Decision In Deri Case Yet?